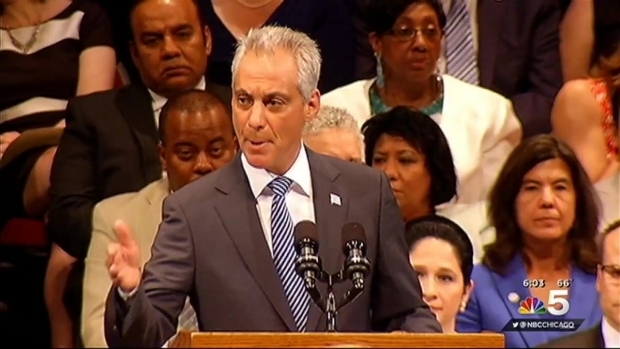 After Mayor Rahm Emanuel touted a higher graduation rate in Chicago Public Schools, a new report by WBEZ shows that those numbers may not be accurate. Amid the financial troubles that surround the city’s school system, the mayor recently boasted that the graduation rate climbed to 69.4 percent, a record for Chicago. 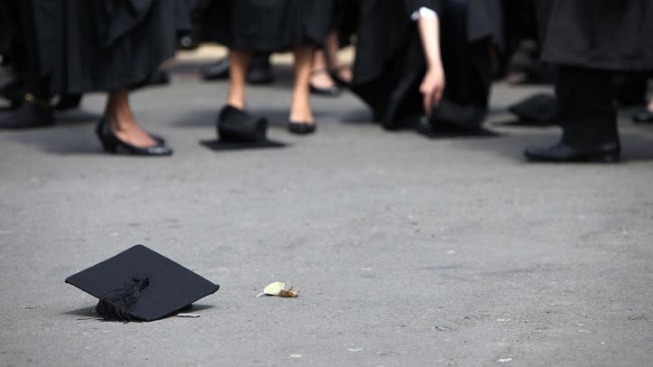 An investigation by WBEZ and the Better Government Association, however, shows that the number was not achieved by graduating students, but rather by shoddy reporting. At least 2,200 students from 25 Chicago high schools were recorded as transfers out of the district between 2011 and 2014 and, thus, were not factored into the graduation rate, according to WBEZ. The investigation showed that many of those students, however, were not transfers. They were actually dropouts, who are calculated into the rate. WBEZ and the BGA dug up other forms of false reporting as well, including counting students as “home-schooled” when they dropped out and categorizing them as “transfers” when they quit school to pursue a GED program instead. Mayor Rahm Emanuel's speech at his second inauguration comes after a weekend that saw nearly 50 shootings. NBC Chicago's Mary Ann Ahern reports. Why would some schools falsely report their students’ graduation rate? Most schools are under pressure to improve their performance, which is often measured by graduation rates. Furthermore, the Emanuel administration looks stronger when it can prove its students are faring better today than they were yesterday. While CPS officials told WBEZ that the numbers weren’t inflated on purpose to help the mayor’s image, it wouldn’t be the first time Emanuel has come under fire for skewing numbers. Last year, a Chicago Magazine investigation showed that the city’s crime statistics did not tell the whole truth. Like students in the CPS system, crime victims, including murder victims, had been reclassified or simply not classified at all, which accounted for the lower crime numbers Emanuel and Police Superintendent Garry McCarthy preached. With the rate that students in the CPS system move around, it is difficult to calculate a tried and true graduation rate, a defense that CPS officials used in response to WBEZ’s questions. Furthermore, different governments calculate the numbers differently, making comparisons across districts tough. Skewed numbers, however, mean that comparison across years with in the same district is also challenging. The mayor did not provide a comment on the statistics, but if his inaugural promises from his May speech hold true, the students of CPS have not yet lost their battle for success. In his speech, Emanuel urged the residents of Chicago to do their part to help the “lost generation” of young people in Chicago succeed.